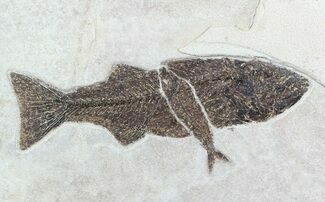 This is a very large and well preserved example of an uncommon fossil fish from the Green River Formation, Mioplosus labracoides. 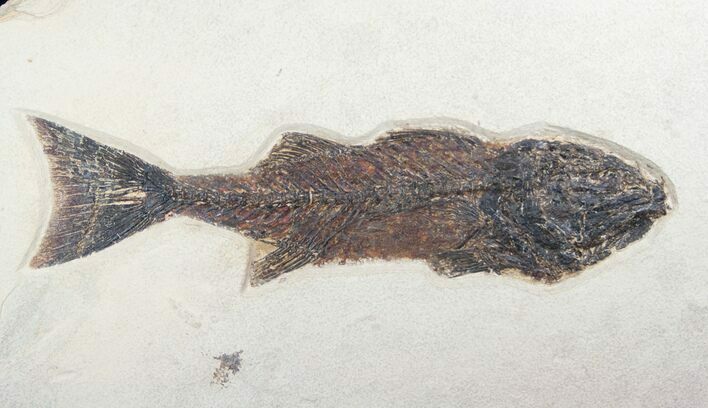 It's approximately 48 million years old and was found at a quarry near Kemmerer, Wyoming this past season. 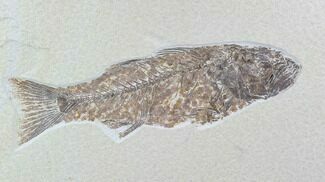 This specimen is highly detailed with the bone structure, vertebrae, fins and tail well preserved. 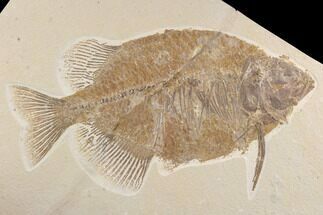 It was quarried from the famous 18" layer of Warfield's Quarry which produces much darker and more detailed preservation than the split fish layers. 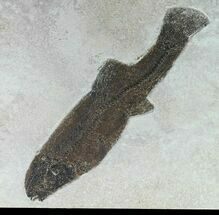 The fish are found totally under the surface of the rock by looking for raised lumps from their backbone. 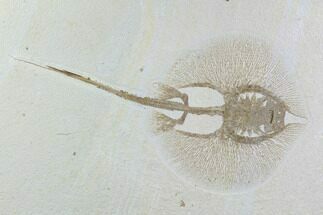 They must then be painstakingly prepared by hand to remove the rock, bit by bit. 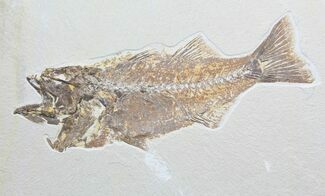 We can install a french cleat hanging system allowing the specimen to be hung on a wall upon request at no charge.